Ronald “Gregory” Williams II, 44, of Chattanooga, Tennessee passed away on Saturday, January 19, 2019. 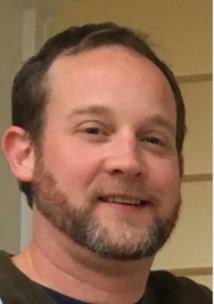 He was a member of Hickory Valley Christian Church and was the owner of Greg Williams Construction Company. He enjoyed photography, biking, hiking, kayaking and the outdoors. He was an Eagle Scout and earned his God and Country Award. Born December 8, 1974, he often expressed his love for Jesus Christ his Lord and Savior. He was preceded in death by his grandparents, Charles C. Williams, Jr., Betty Lee “Gregory” Williams, Howard Brown and Rosalind “Phelps” Brown. He is survived by his parents, Ronnie and Patricia Williams; sister, Rebecca (Travis) Reeves; nieces, Caroline and Julia Reeves; several aunts, uncles and cousins. In lieu of flowers, donations may be made to White Fields Overseas Evangelism, P.O. Box 1089, Joplin, Mo. 64802. A visitation will be held on Saturday, Jan. 26, from 11 a.m. to 2 p.m. at Hickory Valley Christian Church with a funeral service following immediately after at 2 p.m.